GSLEP Partners come together for workshops on snow leopard population estimation in Beijing. Around 60% of the world’s snow leopard habitat are in China. Yet, in China as in other countries, robust population estimates to guide snow leopard conservation efforts remain scarce. But there are efforts underway to change that – most recently through two workshops on survey and analysis methods held in Beijing. Part of the challenge in estimating snow leopard populations is logistical. The snow leopard’s habitat lies at high altitudes and is exceptionally remote. Combine that with the animal’s elusive nature and low natural population density, and it becomes easy to understand why we still don’t have anything even close to a solid estimate of how many of these cats remain. The other challenge is a scientific one. Estimating populations of wide-ranging carnivores based on relatively scarce data such as camera trap images is no easy task, even for a small study area. Both the data collection and the statistical analysis need to be rather sophisticated to achieve robust results. Making data from different studies comparable in order to draw conclusions about the population status in larger landscapes is even trickier. It requires that sample methods as well as statistical analysis not only be sophisticated, but also follow common principles. Under the moniker PAWS (Population Assessment of the World’s Snow Leopards), snow leopard range countries have recently launched an ambitious initiative coordinated by the Global Snow Leopard & Ecosystem Protection Program (GSLEP) to collect data using such methods across the snow leopard range and jointly come up with a reliable population estimate for the cat. “We will never be able to survey the entire snow leopard range or do a full count of the global population, so we have to work with samples. The big challenge we face is to ensure that these samples are representative of the natural distribution” says ecologist Dr. Koustubh Sharma, who serves as International Coordinator for the GSLEP program. “The snow leopard range isn’t homogenous. There are areas that have lots of prey and lots of cats, and other parts with much lower population densities. So our sampling has to take this into account. Until now, most snow leopard research has focused on the best habitats with the highest densities, because these are the best places to study these cats. 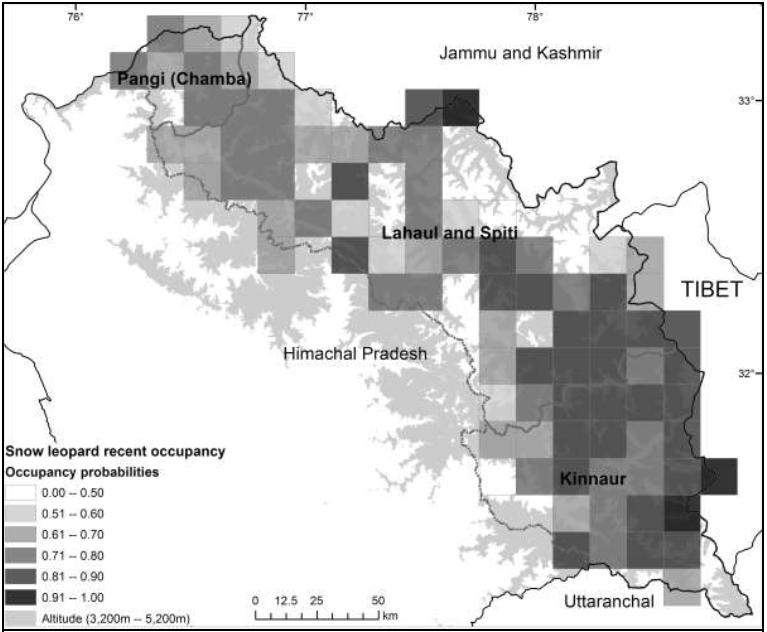 But for a truly representative sampling of the entire snow leopard range, we’ll also need information from less optimal habitats”, Sharma explains. A scientific panel comprised of some of the world’s leading snow leopard ecologists and bio-statisticians has developed the procedural details to be used in PAWS. The scientists are currently working on developing tools, training manuals and capacity building packages that can provide appropriate guidance to collect, compile and analyze data to implement PAWS. Until now, most snow leopard research has focused on the best habitats with the highest densities, because these are the best places to study these cats. But for a truly representative sampling of the entire snow leopard range, we’ll also need information from less optimal habitats. The GSLEP secretariat was assigned the task to coordinate the initiative, and with the help of its partners, they have begun building capacity in snow leopard range countries to apply these methods. Earlier this year, partner organizations met for two training workshops on snow leopard population assessment techniques in Beijing, China. One workshop featured 15 participants from local NGO Eco-Bridge Continental and the Beijing Forestry University. The other workshop was jointly organized by Peking University Conservation and Social Development Research Center, Shan Shui Conservation Center, and the World Wide Fund for Nature (WWF) for their staff and partners including WCS and Cats Felid Conservation Alliance. The workshops aimed to introduce key methodological approaches for assessing snow leopard population density and abundance; the Spatially Explicit Capture Recapture framework, as well as the Occupancy framework, which allows researchers to develop probabilistic distribution maps. Not all the workshop participants currently focus on snow leopards in their work. They cover a range of species such as the Amur tiger, Northeast leopard subspecies and other large carnivores as well small and medium-sized carnivores such as Tibetan foxes and Pallas’s cats. Similar workshops have been held previously in other range countries, including Mongolia and Kyrgyzstan. In 2019, more countries will follow – and the GSLEP secretariat is developing a range of tools to help researchers use and practice these methods. “The response so far has been extremely encouraging. 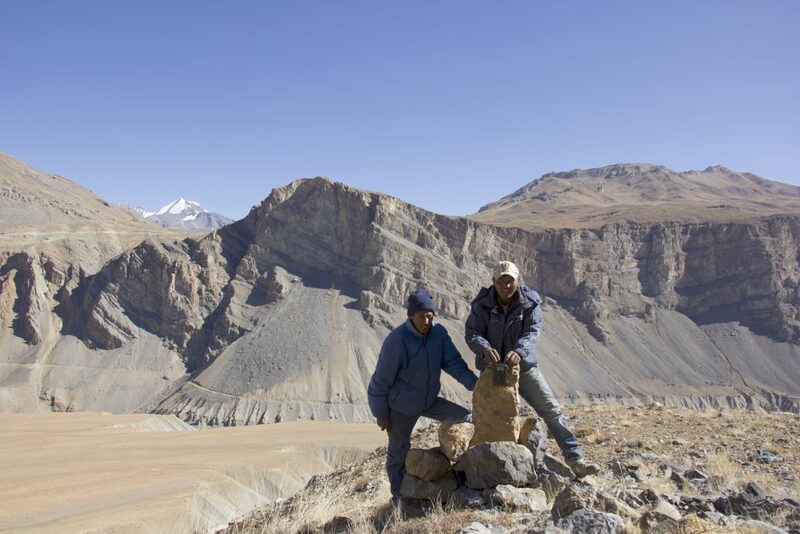 There is a lot of excitement in the snow leopard conservation community as well as the snow leopard range countries around PAWS”, Koustubh Sharma says. The PAWS trainings and training materials have been funded through a GEF-funded project aimed at Transboundary Cooperation for Snow Leopard and Ecosystem Conservation. The project is implemented by the United Nations Development Program (UNDP) and executed by Snow Leopard Trust.